Savannah Getaways Vacation Homes marketed the first web based Destination Savannah weekend getaway option in the business back in1999. 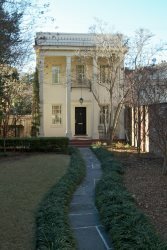 Since the beginning we have led the coastal Georgia vacation home industry in downtown Savannah. How do you provide a vacation home experience like no other? You ask the guest. Among other things our guests made us aware of what they are looking for. Like other savvy hospitality industry travelers, our guests are mostly interested in location, quality and service. Savannah Getaways began to offer homes in the closest locations to Savannah’s most popular attractions all within easy walking distance. We have set a high standard for the best rates by the night, the week or the month at Savannah Getaway Vacation Rental Homes We continue to build our business model on the things that matter most to our guests, as we selectively expand within the Savannah Georgia area and beyond in Lowcountry South Carolina. Location: Savannah Getaways Vacation Homes carefully considers the various locations and properties that are accepted into the management program. Prior to offering these homes for rental, we must be able to provide an excellent service level by having a highly responsive guest services team at your disposal for each property. All of these locations have been selected based on their proximity to all historic district attractions such as tours, shopping, dining, activities and must be able to meet the needs of both leisure and business travelers. Based on the many comments we receive in our Kudos Section, we must be doing it right. Affordable Luxury & Unrivaled Service: Savannah Getaways provides the highest standard for quality accommodations in Savannah vacation homes by owner in the business as the management company of choice. As a long standing leader in the Savannah Vacation accommodation business over the past 13 years, our skilled staff make customized recommendations of the right property at the right price with your requested amenities that place our lodging recommendations among the most highly ranked in the Savannah Travel Industry. We have worked with our many vacation rental owners to create a vacation home experience that brings together the conveniences of modern technology with the touch of classic elegance. Our Guest Services team is available to our guests throughout their stay to assist with questions about the home, check-in/check-out procedures, local area attractions, directions and more. We specialize in listening to your personal Savannah, GA vacation rental preferences in order to determine your ideal lodging selection. Choice: We believe the only way a guest can be truly happy with their accommodation is to select the exact home in closest proximity to their preferred garden square, river street attraction, Forsyth Park Music Festival or tour stop pick up loaction in Destination Savannah. Why stay in the greater downtown Savannah area for the same or even more money when you can stay for less in the real district? Every property that we manage is featured on our user friendly website where guests can find and choose the perfect property to meet their needs with precision via our comprehensive sectional map layered over the genuine Savannah Landmark Historic District to guarantee your stay is where we say it is upon your Savannah Historic District arrival.